Imagine EDM for Everyone. Feel the cool breeze of excitement as you open the door on this extensive audio sample pack that has every base covered, every question answered and every option you've always wanted from your sound library. 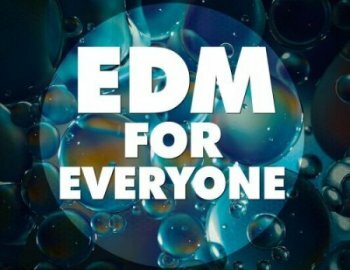 Big EDM has created EDM for Everyone to make that dream a reality. Giving you the sounds you need to develop a progression so intense it emits power and dictates bodies to be in motion. Featuring classic-style synths, bass, and percussion in addition to the latest and most creatively developed sounds that are continuing to break the boundaries and keep millions engaged. Exploring deeper regions within the EDM genre Big EDM has included sounds related to PsyTrance and Hip-Hop. Why be bound by what has already been done? This pack encourages you to experiment and provides the sounds to do it. This pack isn’t just for anyone, it’s EDM for everyone. Not only have we included one hits and audio loops, but we also had our professional sound designers give up their custom combinations used to make the most brilliant sounds in the form of presets for both Serum and Spire. Use these presets and you too can utilize and customize aggressive growls, elegant plucks, smooth pads, full and powerful synth stabs and the strongest sounds that will rise above your highest expectations. Jump start your next song, put the finishing touches on your latest and greatest or start from scratch. Whatever you do just make sure you got the room on your hard drive for this massive library that makes EDM more accessible than ever. Pick up Big EDM's EDM for Everyone pack today.